Also, by request we produce vacuum pan with closed exchanger condenser made of stainless steel completely included platform. Therefore It`s more hygienic. Also we produce T-7 and T-14 evaporator. 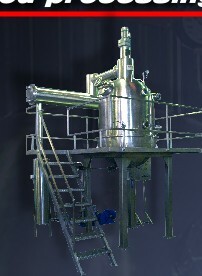 T-14 evaporator can produce 56 tons of 30 Brix tomato paste per a day.